The world leading Telecommunication Company in the manufacturing of Smartphones has announced the Blackberry DTEK50 Smartphone with Blackberry Intelligent Keyboard. 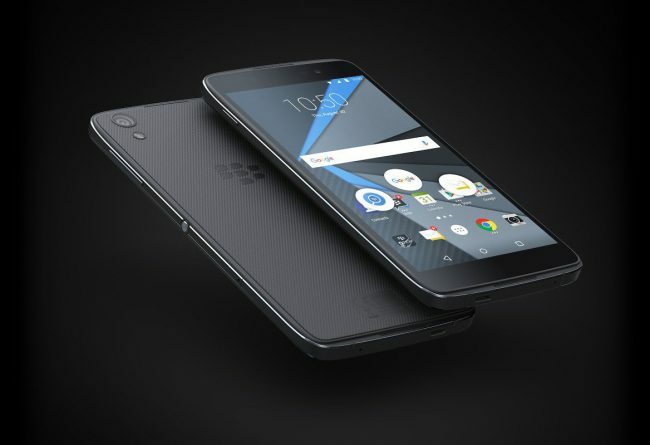 The Blackberry DTEK50 Smartphone comes forth with a unique body design with dimension of 147 mm height, 72.5 mm width and up to 7.4 mm depth with a light weight of only 135g. It has a stunning 5.2 inch Full HD display which is capable of displaying 16 million colors and the screen is made of scratch-resistant glass and features a specialized Oleophobic coating to protect against fingerprint smudges. The Blackberry Smartphone got a 13 megapixel auto-focus camera with dual tone LED Flash, 4x digital zoom and Phase Detect Auto Focus (PDAF), makes you eligible to capture the high-quality photos and a gorgeous 8MP Fixed-Focus front camera with 84˚ wide angle features image and video stabilization and allows you take sharp and bright selfies. The DTEK50 Smartphone has boosted with a Qualcomm 8952 with 64 bit Quad-core 1.5 GHz Cortex-A53 and Quad-core 1.2 GHz Cortex-A53 (Snapdragon 617 Octa-Core, 64 bit) processor integrated with Adreno 405, 550MHz GPU. A 16 GB of immense storage for the bulk of songs and videos and a faster 3 GB of RAM offers a spark swap between apps and a dedicated MicroSD card slot which supports up to 2 TB of vast storage to make your library even big. The Smartphone has come with a powerful 2610mAh 4.4V non-removable Lithium-Ion battery and enabled with QC2.0 which gives 50 percent charge in only 51 minutes, up to 17 hours mixed battery life, 17 hours talk time and 40 hours audio playback.